All the rooms in the Hotel Seepark in Murten / Morat / Muntelier are comfortable and well equipped. The hotel offers 34 rooms and suites of different categories: single room, standard room, superior room, executive room and suite that can host up to 4 people. The hotel has a nice restaurant serving traditional Swiss and French cuisine with a creative twist. The restaurant offers also an excellent wine menu with a selection of local and international wines. The See Bar is a pleasant place to enjoy some drinks and have a good time. 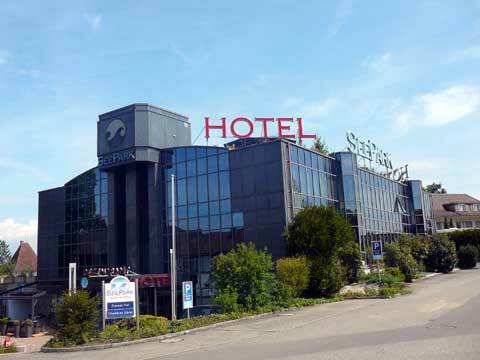 The hotel Seepark in Murten / Morat / Muntelier is quite favored by business travelers, since there is a possibility to organize different meetings, seminars banquets and other business-related events using the hotel conference rooms. Guests of the hotel can also use the secure underground parking. Located close to the Lake Murten / Morat, the hotel is suited for wedding and birthday parties as well. Rates for rooms range from 160 CHF to 450 CHF per night.